What's cooler than cool? Ice cold! As in supercooled beers. Not outdated Outkast references. 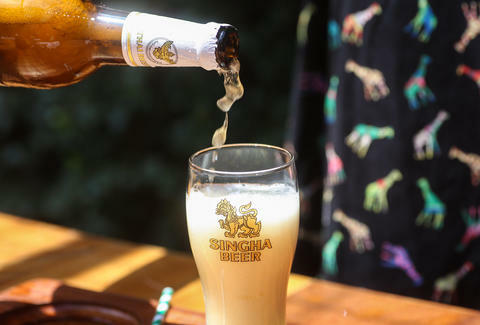 Thanks to a technique pioneered in Thailand, several stateside restaurants have cracked the code to serving beer at sub-freezing temperatures. It's called jelly beer, and it's as close as it comes to a Duff-flavored Squishee. But how does this magic work? To find out, we hit one of the early adopters of jelly beer. 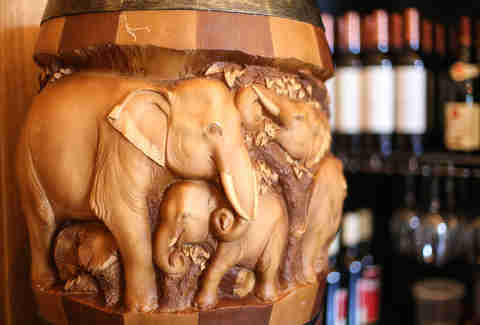 Those intricately carved elephants hold the secret to the coldest beer you'll ever drink. The machine is called a Bia Wun, and its proud owner is Sway, a modern Thai restaurant in Austin, TX. 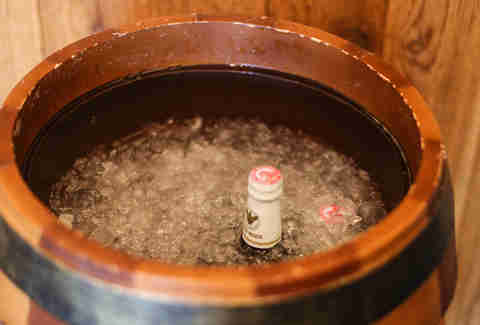 How it works: The barrel is filled with ice, salt, and unopened beers. A small motor gently rocks the cooler, and the combination of motion and salt keeps the beer from freezing in the 27-degree water. 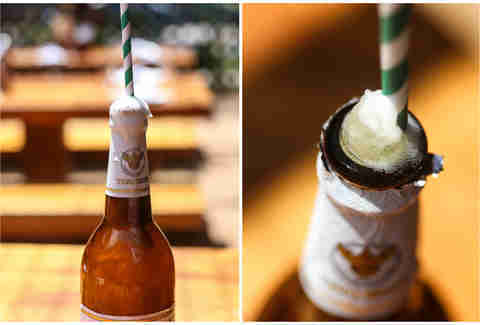 Once the beer is opened, the rapidly changing temperature and pressure creates a "supercooling" reaction that transforms the beer into a slushie, with a consistency that's somewhere between snow and jelly. 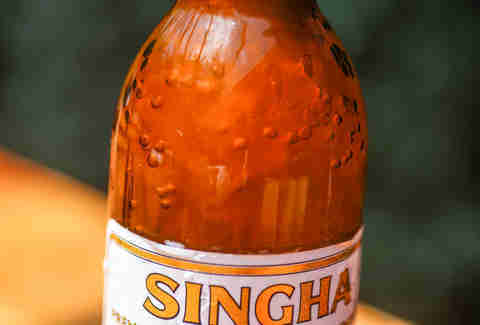 Although jelly beer is widespread in Thailand, it's just now making its way stateside thanks to forward-thinking Thai restaurants like Pok Pok in Portland (and Brooklyn), Uncle Boon's in NYC, and Sway. Now that the concoction has taken off on three coasts, it's only a matter of time before it makes its way to the rest of America. So... get ready for this jelly. Dan Gentile is a staff writer on Thrillist's national food and drink team. He is eagerly awaiting the creation of peanut butter & jelly beer sandwiches. Follow him to more dream foods at @Dannosphere.